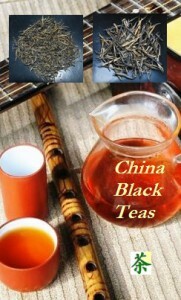 The term “Lapsang Tea” refers to black teas from Wuyishan’s “zhengshan” area. Our Floral Lapsang Black Tea is a handpicked and end-to-end manually processed artisan tea growing right in the heart of there. With earliest sources of dating back to the 16th century, Lapsang black tea is among the world’s oldest black teas. The tea is picked in spring, with a 1 bud +1 leaf picking standard. In terms of taste, what makes this tea unique is the harmonious combination of dominant floral notes with spicy roast flavors and the typical mineral base of Wuyishan. Fengqing Classic 58 Black Tea – full-bodied, high sweetness Yunnan Black Tea (“Dianhong Cha”) from Fengqing area, Yunnan province, China; imperial grade selection: (hand) picking standard 1 + 1; high golden buds to dark brown leaf ratio; an inexpensive choice for a high grade, best taste Chinese black tea. For more information and illustrations refer to the detailed product description below. Keemun Hao Ya ‘A’ is an A-grade Keemun black tea from Qihong town, Qimen county, Anhui, China, picked during the year’s best season in spring with a 1+2 picking standard. Due to its favorable high mountain altitudes, nutrient-rich soils and great natural diversity, the location has a reputation for high quality Keemun teas. Here, this tea is cultivated and processed according to original Keemun tradition by a tea farmer cooperative with many years of experience in the cultivation and production of Keemun black teas. Unsmoked Lapsang Souchong from naturally grown Bohea tea bushes at 1400 meters altitude in Wuyi Mountain, Fujian, China. A specialty of the health and environment-friendly producer, Wuyi Mountain Farmers Collective, ist die Artisan-Verarbeitung von Wildpflückungen. Diese schöpfen aus aus den umliegenden wilden oder semi-wilden Arealen, wo die Teebäume in biodiverse Lebensräume eingebettet sind. Wild Black Needle Pagoda Dian Hong Cha from ancient wild tea trees growing at altitudes beyond 2000 meters on Yang Ta Mountain, Yinggu County, Pu Erh Prefecture, Yunnan, China. Handpicked with 2+1 picking standard and manually processed, roasted in a wok pan, rolled and shaped according to millenium-old tribe and family tradition. The special tea pagoda processing style goes back to a time, when this unique piece of art was created by enslaved tea pickers in the imperial tea garden as a symbol for freedom and a better future. Yunnan Black & Golden Needle Black Tea from Ying Gu County, Yunnan province, China; harvested in a remote, hard to access tea garden from wild ancient tea trees at altitudes of over 2000m, with a local heritage of more than 2000 years of tea culture as well as plucking and processing art; certified health and environment-friendly (USDA seal for health and environment-friendly cultivation). For more informatio please refer to the detailed product description below. Wild Yunnan Golden Tips – a “Dian Hong Tea” (black tea from Yunnan) from ancient tea trees, growing wild at altitudes beyond 2000 meters on Yang Ta Mountain, Jinggu County, prefecture Pu Erh, in a widely untouched envirnoment. ‘Golden Tips’, pure, large, tightly haired, fluffy-soft buds, picked in spring from middle of March through middle of April every year, is Yunnan’s highest grade black tea. Jin Mao Hue Golden Monkey is a black tea from Fu’an county, located in the northeast of the Chinese province of Fujian. It convinces with palatefulness, a broad sweet and fruity taste spectrum harmoniously complemented by sated roast notes, and a cost-benefit ratio that is downright unparalleled in the world of single garden / single picking whole leaf teas.